Russian President Vladimir Putin wished Ram Nath Kovind, Prime Minister Narendra Modi and on India’s 70th Republic Day. In his message, Vladimir Putin said India has achieved “impressive success” in socio-economic, scientific and technological spheres. India celebrated its 70th Republic Day with a grand military parade and a show of its history, cultural diversity and strategic weaponry at the Rajpath. Foreign dignitaries and the top politicians were among the spectators. 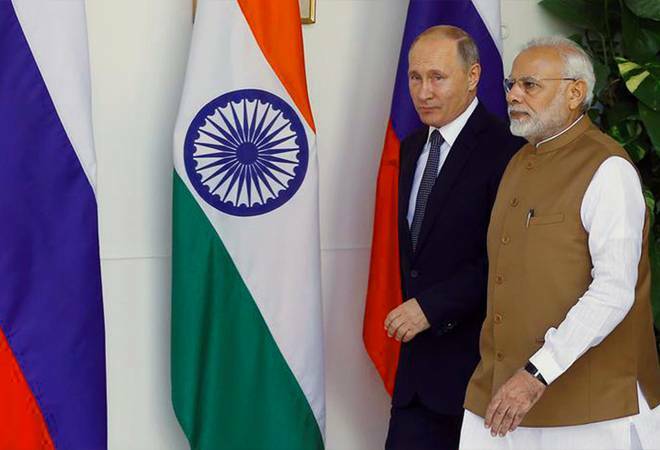 “Russian President Vladimir Putin congratulates the President of India Ram Nath Kovind, Prime Minister Narendra Modi and to all citizens of the Republic of India,” a senior Russian Embassy official said. “India has achieved impressive success in socio-economic, scientific, technical and other spheres,” he was quoted as saying in the statement. “Your country rightfully enjoys high authority in the international arena, actively participates in tackling pressing issues of the regional and global agenda,” he said in his message. The relations between the two countries are “dynamically developing,” he said. “I am convinced that further advance of the entire gamut of Russian – Indian ties fully meets the interests of our people and contributes to ensuring international stability and security,” Vladimir Putin added. “I sincerely wish good health, well-being and success to all citizens of India,” he said.